We're sorry; this specific copy is no longer available. 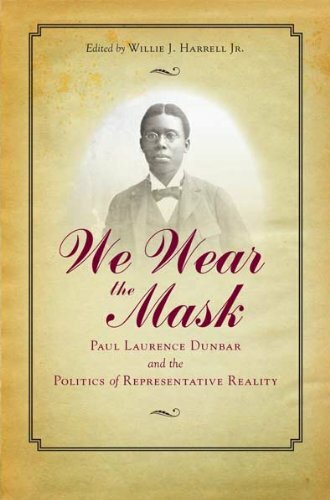 Here are our closest matches for We Wear The Mask: Paul Laurence Dunbar and the Politics of Representative Reality by The Kent State University Press. Synopsis: An anthology of the best scholarship on the celebrated African American writer. A prolific nineteenth-century author, Paul Laurence Dunbar was the first African American poet to gain national recognition. Praised by Booker T. Washington, W. E. B. DuBois, and Frederick Douglass, who called him 'the most promising colored man in America', Dunbar intrigued readers and literary critics with his depictions of African Americans' struggle to overcome a legacy of slavery and prejudice. His remarkably large body of work - he wrote eleven volumes of poetry, four short story collections, five novels, three librettos, and a play before his death at thirty-three - draws on the oral storytelling traditions of his ex-slave mother as well as his unconventional education at an all-white public school to explore the evolving identity of the black community and its place in post - Civil War America. Willie Harrell has assembled a collection of essays on Dunbar's work that builds on the research published over the last two decades. Employing an array of approaches to Dunbar's poetic creations, these essays closely examine the self-motivated and dynamic effect of his use of dialect, language, rhetorical strategies, and narrative theory to promote racial uplift. They situate Dunbar's work in relation to the issues of advancement popular during the Reconstruction era and against the racial stereotypes proliferating in the early twentieth century while demonstrating its relevance to contemporary literary studies. ""We Wear the Mask"" will appeal to scholars and students of African American literature and poetry, as well as those interested in one of the most celebrated and widely taught African American authors. About the Author&colon; Willie J. Harrell Jr. is an assistant professor of English at Kent State University, where he teaches courses in African American literature and culture. His work has been published in the Canadian Review of American Studies, African American Review, and The Greenwood Encyclopedia of African American Folklore.